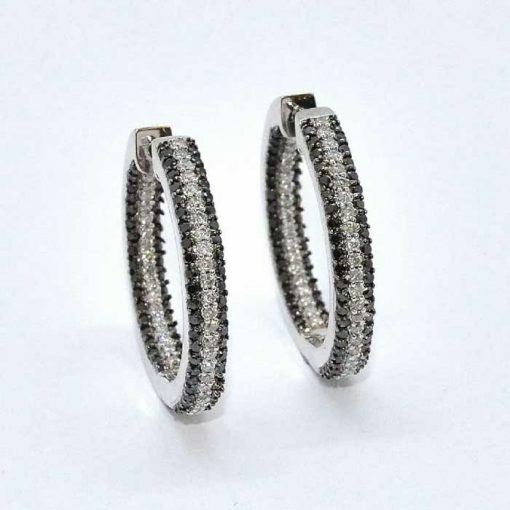 In & Out Diamond Hoop Earrings set in 14k white gold. 3 rows of diamonds. Center row white diamonds, with 2 outside rows of black diamonds.